There is no "fat" in this music. No excess. Just the pure essentials...swirling white noise, the constant hypnotic drone of the binaural beats, and a gentle wandering melody that was created with a bowed glass instrument. This intoxicating combination of sounds will relax you to your core. As I sit to type my description of this music, my fingers primed for a bout of the most eloquent and dignified commentary I can muster, I suddenly realize that I am unable to accurately relate my thoughts to you without using the word "drool". Not quite the dignified start I had in mind. Why must the word 'drool' play such a prominent role in my commentary you ask? Well truth be told (and it must) whenever I listen to Hypnotica, I seem to wake up next to a small puddle of it. And in case you think I’m joking, no, I really have fallen asleep listening to this music on the floor of my recording studio, more than once. Hypnotica gets me every time. It just knocks me out. And it seems I’m not the only one. I’ve received many emails from professional hypnotherapists and meditation enthusiasts who have expressed their delight (and in some cases, astonishment) at how mind-numbingly relaxing this music can be. This is the kind of music you can play for hours on end without ever getting tired of it. 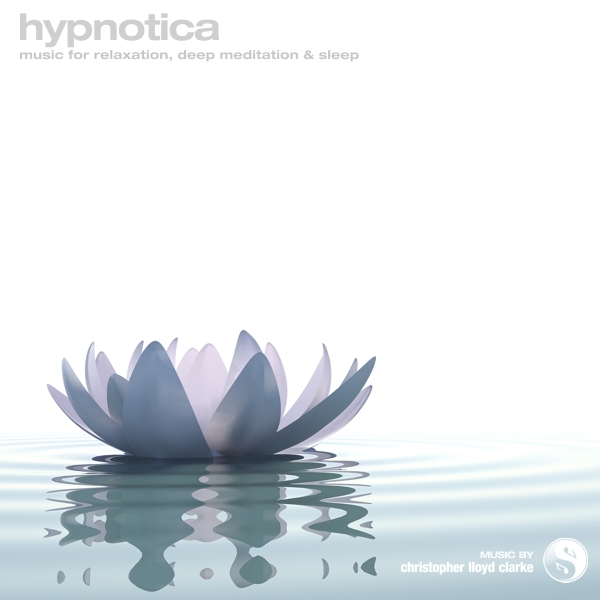 Hypnotica does not wander off into any unexpected directions as it progresses, it simply provides a consistent, melodic atmosphere that will encourage your mind to relax and become still. This is excellent background music for formal meditation or for those times when you want to listen to something quietly and drift away. My advice is this. Don’t do anything that requires concentration while listening to Hypnotica. Get yourself nice and comfy and listen at a very quiet volume with your eyes closed…preferably while no one is watching.